Bali: Revisited | What an Amazing World! It was not until last October that I finally stepped on the world famous island of Bali for the first time. Since then, like many other people who have visited Bali, I have made a love affair with the island. However, unlike the first visit, for my second time going to the island I was determined to see more of Balinese culture. So, off I went on this year’s Christmas holidays for a three-day exploration of the island. 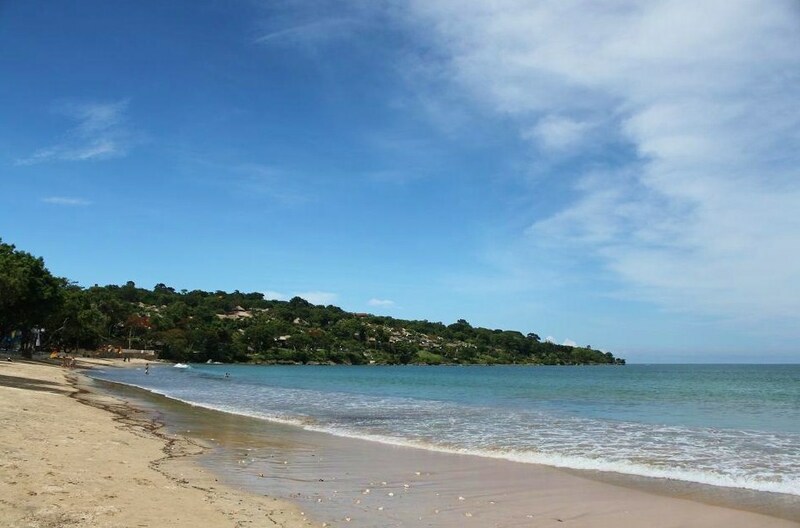 But on my first day I decided to go to a couple of beaches just to lie down and relax while listening to the calming sound of the waves. 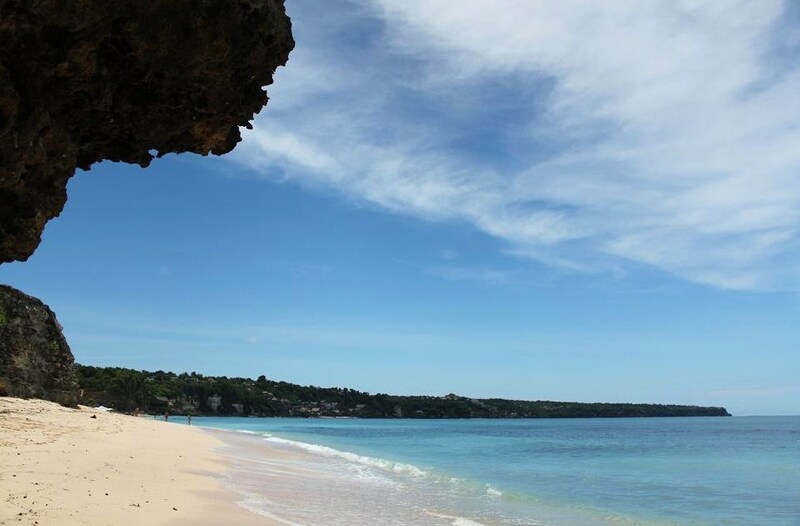 First I went to Jimbaran, a usually packed-with-tourists beach which turned out to be quite empty when I was there. I like less crowded places. 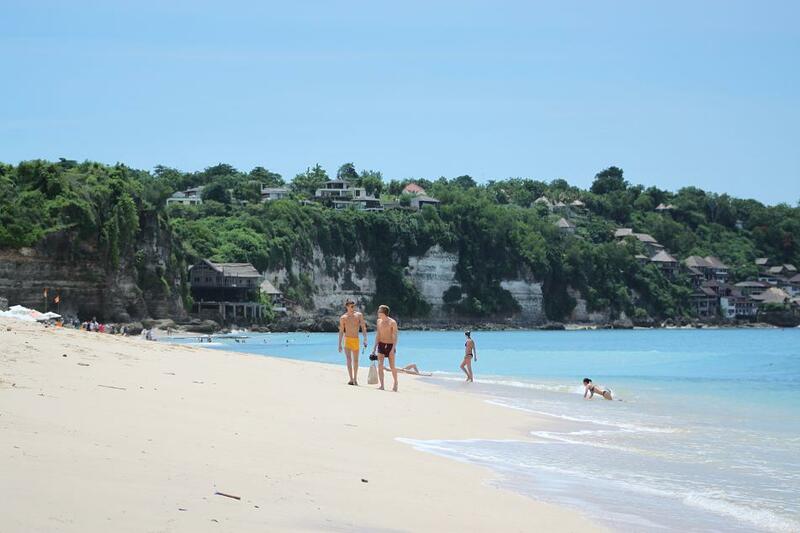 However, for me Jimbaran beach doesn’t look as idyllic as some other beaches that I’ve been to in Bali. Therefore I decided to try a new beach for me, Dreamland. The name definitely sounds appealing. But since I went there during holiday season, so I’ve already anticipated to see large number of tour buses and groups of local and foreign tourists flocking this spot, which they did. Nevertheless, after walking quite a long way from the crowd, I found a remote and quiet piece of Dreamland where I only met less than five other people around. Not much to tell about Bali’s beaches this time because hitting the blue water is not my main interest on this visit. 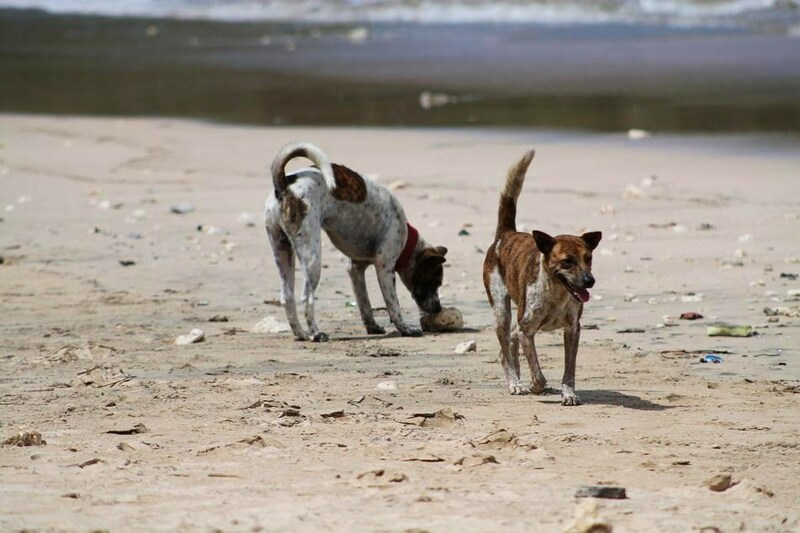 So, expect more posts about interesting Balinese cultural activities and places to come, soon. But the sound of the waves did make me relax, in a way. Pingback: A Fiery Afternoon at Uluwatu « What an Amazing World! Pingback: Close Encounters with The Monkeys of The Sacred Forest « What an Amazing World! Pingback: Feast of Colors at Ubud Market « What an Amazing World! Pingback: Replenishing Holy Water of Pura Tirta Empul « What an Amazing World! I would love to go to Bali. Hopefully someday I will! Pingback: Elephant Cave: The Witness of Hinduism and Buddhism Harmony in Bali « What an Amazing World! Pingback: An Excursion to Bali’s Highlands « What an Amazing World! Pingback: The Humble Yet Intricate Pura Taman Ayun « What an Amazing World! Pingback: Pura Tanah Lot: A Temple at The Sea « What an Amazing World! Dreamland dreamland dreamland!! the last time I went to Bali, I planned to go to dreamland, BUT……I didn’t find it! *DOH! It’s located in Pecatu Region. If you go to Uluwatu from Kuta, you will find a huge statue of Garuda & Wishnu on your right. That’s the entrance to the entire complex. But it’s a huge complex, finding your way to Dreamland can be quite tricky. Just ask the security guards for direction.